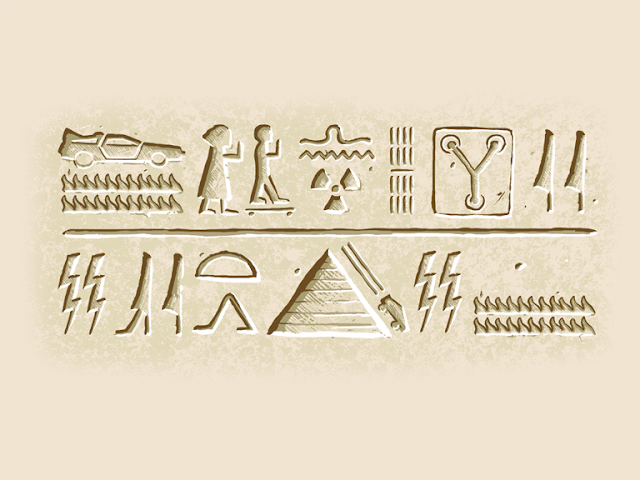 In a recent archeological find, Egyptologists uncovered some unusual hieroglyphics. They have translated some of it and found the name Calvin and something about an old man going over 309,760 cubits an hour. Crazy Egyptians, what could it all mean? Get 1985 b.c. from Shirt.Woot. 309,760...yeah, that calculates out correctly. Ha, funny you checked that out. I did too.